I was very pleased to be invited by UNESCO to participate in the Asia Pacific Conference on Education and Training (ACET) that took place in Kuala Lumpur, Malaysia from August 3 to 5. It was organized jointly by UNESCO and the Ministry of Education, Malaysia, with participation from 48 countries. The timing of the Conference couldn’t have been better, right after the World Education Forum in May and before the Sustainable Development Goal (SDG) Summit in September. With very high youth unemployment in the region (in fact, the highest in the world) and a rapidly changing work context making current skills obsolete so quickly, the topic of the conference was very relevant for the Asia Pacific region. While the Conference Declaration turned out to be fairly progressive (thanks to excellent facilitation by the UNESCO team), I didn’t find it a comprehensive representation of the general trends in the conversations during the conference. In fact, some of the general trends that emerged from the discussions would be food for thought for any right to education advocate. The first thing that caught my eye was the dominance of neoliberal discourse shaped by market demand in designing the nature and scope of TVET. It was all about developing ‘human capital’ for rapid economic growth. There is no denying the importance of employability, but the vision needs to be broader than it currently is. While it is important to strengthen links between TVET outcomes and changing labour market needs, TVET and skill building has to also focus on and integrate a broad spectrum of knowledge, skills and competencies for work and life. While getting decent work is an important outcome of TVET, it should not be solely oriented towards the job market and its demands. TVET has to be situated within an empowerment and lifelong learning framework where learners can enhance their skills on critical thinking, decision-making, being able to adapt to the changing surroundings around them and become empowered individuals. However, this anchoring to a rights-based framework seemed to be missing most of the time. In fact, when I suggested that the right to education and right to work needs to be adopted as core principles in the outcome document, private sector representatives questioned whether such rights have any place in the Declaration. Thankfully, UNESCO facilitators were also determined to see a stronger linkage between the right to education and the world of work, and so it found its place in the Declaration. However, it didn’t seem to be a majority position, especially in terms of practice. Gender discrimination and stereotyping are also causes for concern in TVET. At present women are usually offered / encouraged skill training for jobs that are `suitable’ to women or those which fall in the traditional domains that women are supposed to do better such as health care, beauty care, tailoring, communication, education etc. Efforts are required to open up streams for women which have traditionally been considered a `man’s’ job. Acquisition of the right skills is the first step for women on the path of economic empowerment. There seemed to be a lack of awareness on this issue. In fact, in one of the side events, when a colleague raised it, the presenter for Pearson said how proud they are that almost one-third of their students in India are women and how much care they take in designing professional beautician courses for women by consulting with renowned professionals, thus enforcing the assumption about gender stereotyping. There was a tendency of using outdated gender insensitive terminology (e.g. a large number of discussants kept on talking about developing ‘manpower’), which should be addressed in policies and practice. In terms of determining the content of the training, it seemed like a discussion between the businesses and the State. When I asked how the learner voices will be factored into the curriculum, especially the youth with the largest stake, I didn’t receive a satisfactory answer. It reinforced the perception that both the demand and supply are decided without active participation of the actual workers, which was worrying indeed. If dignity of citizens at work is to be ensured, learner voices needs to be considered, and they need to be brought inside the discussions as active participants, not only as passive recipients of trainings for skills. Minimum wage practices and working environment as part of labour standards also needs to be part of curriculum. I was very pleased to see the presenters highlight the importance of trained teachers and using technology to support and not replace teachers. This was a pleasant surprise, because there seems to be an insurgence of irrational technological optimism- where technological experts assume without sufficient evidence that cutting edge technology can make teachers redundant. I was surprised to see national accreditation responsibilities contracted out to be administered by private corporations (e.g. BTEC accreditation from the UK government is administered by Pearson) which raises accountability concerns. It was also worrying to see examples of TVET implementation, where public subsidies were expected by and provided to industries to increase private profit. One would expect that the industries would invest in providing necessary work specific skills to their workers to maximize profit, but that’s where an expectation of subsidy comes into play. It was quite ironic to see the emphasis on ‘greening’ skills for sustainable development, but in the pursuit of unsustainable economic growth. This is a paradox that needs to be solved urgently. Finally, it was worrying to observe an artificial dichotomy of technical versus general education, as if they are two competing aspects of education. This is a perverse interpretation of the right to education, which is indivisible by definition, and needs to be accessible, available, adaptable and acceptable, thus integrating technical and general education within a holistic framework. The sooner this is realized and practiced, the better it would be for the entry of citizens into the world of work. Only then can we ensure that economic growth serves the people, to address the extreme inequality prevalent in the society, not the other way round- humans becoming slaves to the growth paradigm to perpetuate the exploitation violation of basic human rights. Tanvir Muntasim is the International Policy Manager, Education for ActionAid, an anti-poverty and human rights based organization working in 45 countries. His role entails monitoring and engaging with key education related global policy debates, platforms and networks. He previously worked for ASPBAE (Asia South Pacific Association for Basic and Adult Education) and has fifteen years of experience in the development sector. 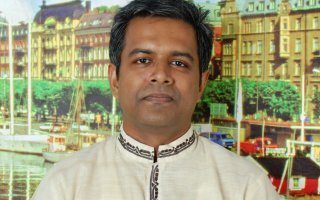 He has two Masters Degrees - in Development Studies and in Business Administration, both from the University of Dhaka. He can be reached via email at muntasim.tanvir@actionaid.org.